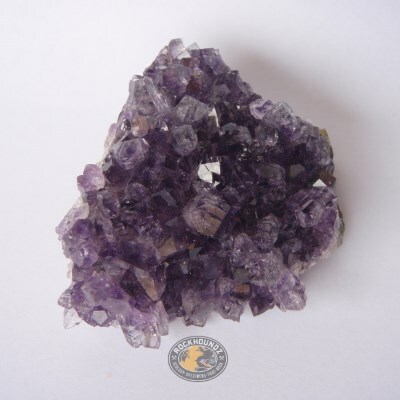 Amethyst is a form of quartz (silicon dioxide) coloured purple by the presence of iron. Trigonal crystal structure is clearly visible and crystal faces display typical features. 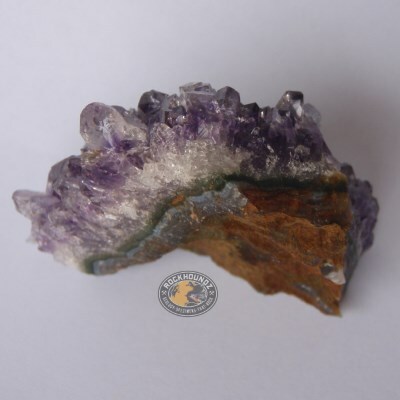 Lovely display specimen with crystals on one surface for the classroom or for teaching. 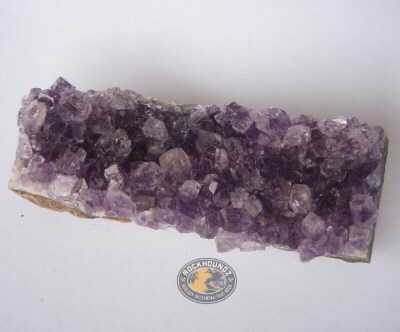 The specimen can be handled by students without damaging the crystals if it is handled with care. Specimen pictured is a representative specimen. Please contact us with any questions or to see more photos.